In both Duchenne muscular dystrophy (DMD) and Becker muscular dystrophy (BMD), deterioration of the heart muscle, a condition known as cardiomyopathy, is a major cause of disability and death. DMD and BMD both result from mutations in the gene for dystrophin, a protein found in muscles controlling body movement and respiratory effort, as well as in the heart. When dystrophin deficiency is complete (or nearly complete), the disease is known as DMD. When there's a partial deficiency of dystrophin, the result is BMD. Understanding and treating dystrophin-deficient cardiomyopathy is a priority for MDA. The recently formed MDA DMD Clinical Research Network has made studying the natural history and treatment of this condition a primary focus. Here are some recent developments in understanding the effects of dystrophin deficiency on the heart and proposals for its treatment. Daily abdominal injections of an experimental compound called P188, designed to help seal cell membranes, benefited heart function in dystrophin-deficient (mdx) mice, say researchers at Children's National Medical Center and George Washington University, both in Washington, D.C. The new research findings, supported in part by MDA, were published online May 16, 2011, in BMC Cardiovascular Disorders. Mdx mice exposed to the heart-stressing drug isoproterenol for four weeks, even at a very low dose, developed severe cardiac dysfunction. However, those given P188 injections in addition to isoproterenol were better able to withstand the effects of the heart-stressing drug. A study published in March 2010, which also received MDA support, showed that dystrophin-deficient dogs given intravenous infusions of P188 showed much less heart damage than dogs receiving saline infusions without P188. The researchers on the new mouse study say the combined results support further study of chronic, daily P188 therapy in DMD patients and also may support investigation of acute, intravenous P188 treatment in DMD/BMD at times of acute stress, such as in association with surgery. In an MDA-supported study published online May 12, 2011, in Neuromuscular Disorders, researchers at the University of Missouri, Columbia and Auburn (Ala.) University established some baseline measurements in dogs against which they and others can begin testing experimental treatments for DMD- or BMD-related cardiomyopathy. The investigators performed electrocardiograms (ECGs) and echocardiograms on three dystrophin-deficient and four dystrophin-normal dogs from the same litter, at ages 3, 6 and 12 months. ECGs measure electrical signaling in the heart, while echocardiograms evaluate the heart's pumping and relaxation abilities. 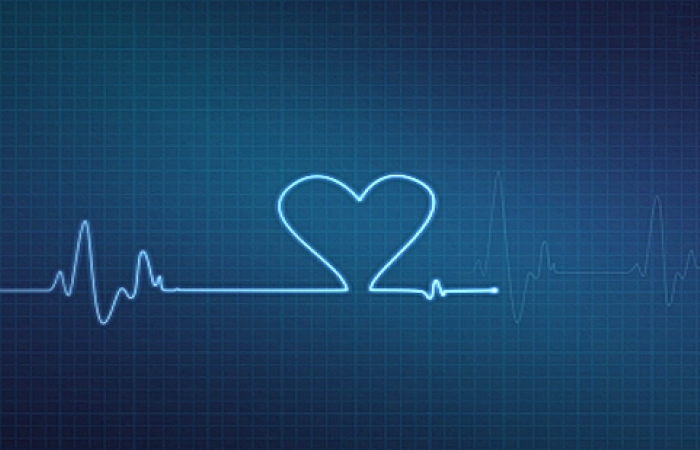 Both kinds of cardiac function can be affected in DMD or BMD. The canine study revealed several ECG and echocardiographic changes in the dystrophin-deficient dogs compared to the dystrophin-normal dogs. The investigators say they believe the findings will be useful in gauging the therapeutic effects of new therapies that may be tried in people with DMD or BMD, and that dogs with dystrophin deficiency may be better models of these human diseases than dystrophin-deficient mice. Inhibiting the action of a protein called NF-kappa B with a molecule called NBD improves cardiac function in a mouse model of severe DMD, new research shows. NF-kappa B has been associated with damaging inflammation. The recent study, which received MDA support, was published online May 17, 2011, in the Journal of Translational Medicine. The mice used in these experiments were deficient in dystrophin and also in the related protein utrophin, making their disease more severe than that which develops in mice deficient for dystrophin alone. These so-called double knockout mice show classic signs of heart failure, including degeneration of cardiac muscle cells and impaired cardiac force generation. The researchers found that the cardiac muscles of NBD-treated mice generated more than double the force of untreated mice, as well as showing other indications of better heart function. However, signs of inflammation were not significantly different between the NBD-treated and the untreated mice, leaving the investigators uncertain of the mechanism responsible for NBD's apparent benefits.